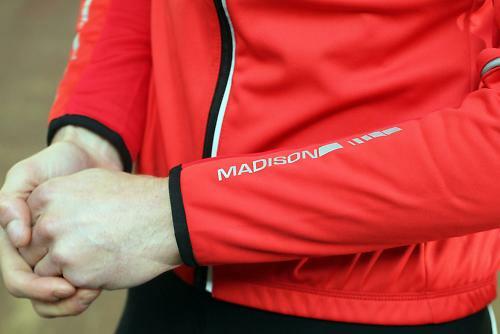 The Madison Sportive Men's Softshell Jacket offers a good fit, generous warmth for the chilliest winter rides, looks smart and is reasonably priced. A windproof and water resistant fabric is used for the front, side panels and shoulders, with a thermal Roubaix back panel. It's a combination that provides good insulation for cold rides while keeping the wind out. It does a good job of keeping the rain out too. It's not ideal for prolonged downpours, but get caught in a short shower, and you'll be just fine. The fit is on the snug side. The fabric is quite stretchy and feels akin to wearing a long sleeve jersey, except with a bit more bulk. The arms are pre-curved, the tail is dropped, the front is cut a bit higher and there's a tall collar, all details that make it an exceptionally comfortable jacket on the bike. It's particularly well suited for an aggressive crouched over the handlebars position, with a good length in the arms that ensures the cuffs don't ride up. You get three rear pockets for lugging around spare tubes, pump and food. There's also a small zipped pocket located on the outside of the rear pocket, another on the chest pocket, easily accessible and as such, ideal for a mobile phone. 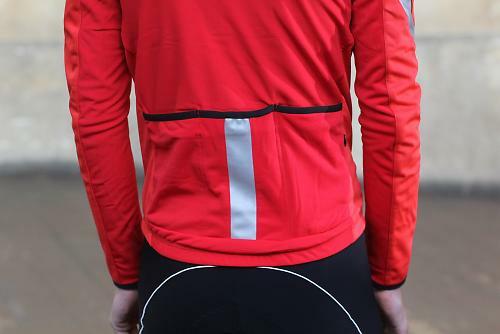 A generous number of reflective panels are located around the arms and rear pockets, along with a reflective zipper stripe and sleeve piping, significantly boosting visibility to other road users. Breathability is subject to many variables, and critically isn't the same for everyone. For brisk tempo rides, worn with a long sleeve base layer, the Madison jacket comfortably balanced the necessary warmth for cold days bordering on sub-zero, and adequate breathability to avoid sweaty overheating. Underarm zipped vents provide extra ventilation if it's needed, but I didn't ever find them necessary. All in, the Madison Sportive Men's Softshell Jacket is a good choice for winter riding, coping well in the cold with decent levels of breathability and enough bad weather protection to deal with whatever weather might come your way. And it's a good deal cheaper than many similar performing jackets. 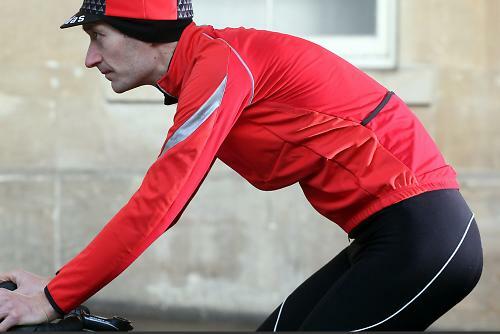 The heavyweight Sportive thermal jacket is the ideal winter training jacket. Works really well for fast-paced winter rides requiring minimal layering to provide decent warmth, with a good level of breathability to avoid that horrible sweat clammy overheating situation. Impressive durability so far, the fabric comes out clean after a regular washing machine cycle. Fits like a jersey with good freedom of movement. The Madison is a reasonable price for a winter jacket that can see you through most typical British winter riding conditions. Lives up to its claim of being a winter training jacket for winter training cyclists. Good close fit, comfortable with good articulation in the arms, and nice reflective details and generous pockets. Wasn't really anything to dislike, it's a highly commendable winter jacket for not a lot of money. A reasonably priced jacket! Hold me back! Did the job of keeping me warm, and cooling me down with the vents when I started to hear up as I was being overtaken in Regent's Park this morning. Best piece of kit I've bought in a long time. Seems near identical to the Endura Windchill, which can't be bad (unless you're Endura), although the fit looks a tad snugger. I bought one in a sale from my LBS, excellent jacket perfect with just a base layer! It is interesting what is the optimum temperature range that should be advised for using of this jacket?